Open daily 9 a.m.-5 p.m. Closed Thanksgiving Day, Christmas Eve and Day, New Year’s Eve and Day. 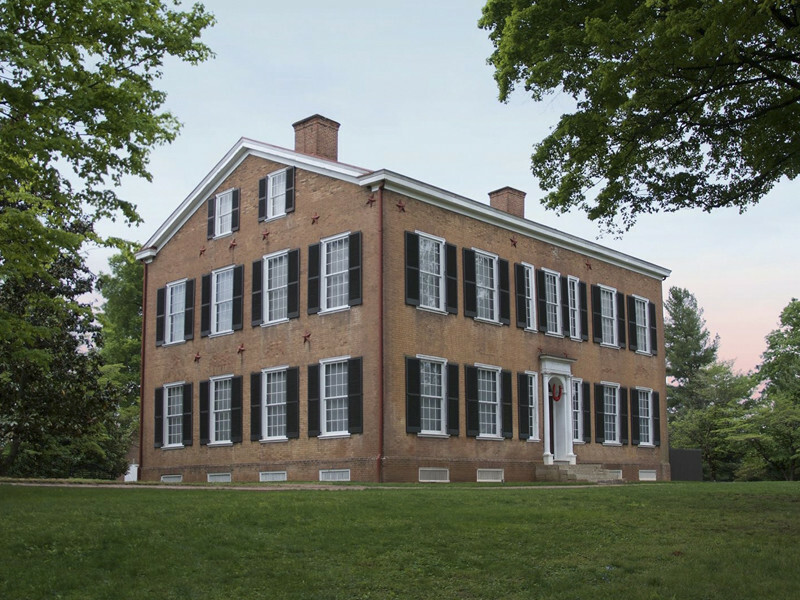 Tour the historic Rowan plantation home that provided the inspiration for the song, "My Old Kentucky Home," written by America's first composer Stephen Foster. Hear the song performed on your tour by the park's talented guides. Built in 1812, this large mansion is adorned with beautiful antiques, fine paintings, and has been restored to its mid-19th century appearance. Park offers specialty tours. HA first floor only.